Aloe Vera is so good for your pets that the crest for The Royal Veterinary College features an Aloe plant. We use a range of Aloe products for our dogs and those that stay with us. Drinking Gels are as good for your pets as they are for you. Ruby does Flyball and although she is only 2 year old we want to protect her joints so she has the same Gel as me Forever Freedom. 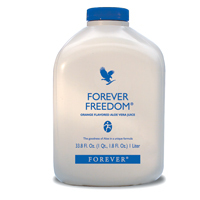 This contains not only all the goodnes of the Aloe but also naturally occurring glucosamine sulphate, chondroitin sulphate and methylsulphonylmethane (MSM), natural elements shown to maintain healthy joint function and flexibility. As well as looking after her joints it makes her coat looks lovely and shiny. Contains naturally occurring glucosamine sulphate, chondroitin sulphate and methylsulphonylmethane (MSM), which are natural elements shown to maintain healthy joint function and flexibility. Fast acting unique formulation. Aloe vera drinks are liquid dietary foods consisting of the stabilised inner leaf gel of the plant which contains over 75 known nutrients, in a natural balance that helps to maintain all the signs of a healthy animal. Suitable for all, the liquids are readily absorbed into animal feeds, although some animals prefer them in water. The drinks maintain a healthy appetite, suppleness of joints and energy levels. Aloe vera also has a soothing effect. The Aloe Hand and Face Soap is great for bathing the dog, again its multi use and it last for ages. 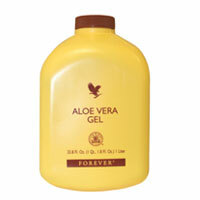 Rich in soothing aloe vera, this gentle formula is excellent for bathing small and large animals. Equally suited to removing mud after country walk or cleaning delicate skin types prior to applying other products, our soap will clean without irritation. It comes complete with handy pump top that makes for easy bathing, whether the family pet or a top show breed! We use this to bath Ruby and Skye, when we got Ruby from Jerry Greens Dog Rescue she had a persistent rash on her tummy, the first time we used this to bath her, the rash went. She is much more comfortable and irritated. This is our go to product, it is a great all round multi use product. If any of the dogs get a cut or scratch, the first thing I do is give it a spray, it is great for keeping wouonds clean and dry. One of our regular doggies Buddy cut his paw badly (not while he was with us) and needed stitches. It was a vicious circle, it was irritating him because it wasn't healing so he was constantly licking it, so it was taking ages to heal. They took some vet spray home and within a couple of days the wound had dried and started to heal really well. I give Ruby and Skye's coat a spray of this before I give them a good brush, it make their coats look fabulous. Don't let the fact it says Veterinary Spray put you off using it on people, we use it all the time. What do I use it for, well pretty much everything. I spray it on my hair before I dry it, I put in on burns and wounds, I put it on my face to hydrate it before I put my make up on. I even used it to spray the back of my throat, it was really sore, after laughing at me Bill and Vicky tried it when they has a bad throat, now they are converts to. This easy-to-apply spray is ideal for soothing irritations, cleansing areas before applying dressings or to achieve a glossy and conditioned coat after bathing. 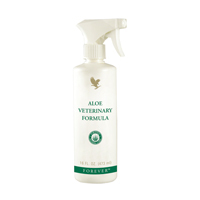 The gentle Aloe Veterinary Formula can be diluted to cleanse irritated eyes or to clean dirty ears. It can also be used as a soothing leg wash to provide protection after exercise. Cleanse with Aloe Hand & Face Soap and water, and apply to affected areas. Bandage if necessary. For optimum results apply several times daily or as recommended by your veterinary surgeon. Can be used as a topical preparation to calm irritated skin and help reduce scar formation. It is a thick gel with antibacterial properties, which lubricates and soothes tissue in sensitive areas. Its highly penetrative properties are easily absorbed. One of our most popular products for humans, this rich soothing cream is equally beneficial for animals. 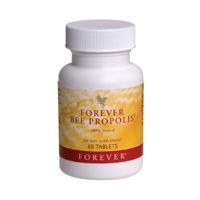 Propolis is a natural agent used by bees to maintain the health of the hive. 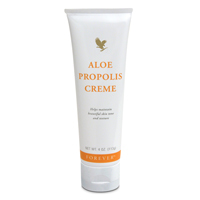 By combining aloe with bee propolis, we have created a world-class product that not only soothes, but moisturises while it works. A fast-acting soothing gel formulation suitable for topical application to joints, ligaments, tendons and muscles. Methysulphonylmethane (MSM) is a rich source of organic sulphur essential for the correct functioning of connective tissues and joints. In animals apply directly to the skin under the hair. 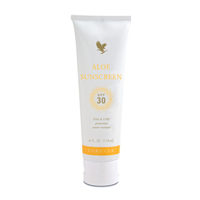 Specially formulated with ingredients that shield the skin from the effects of exposure to the sun and wind. Can be used on sensitive ear-tips and noses, to protect and soothe. Greys and other horses with pink/sensitive areas will find this lotion soothes, cools, and moisturises. High protection (SPF 30). 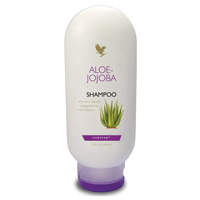 Aloe vera makes this a mild, but deep cleansing shampoo. Combined with moisturising and conditioning properties of jojoba oil, it will leave your animals’ coats, mains and tails tangle-free and shining with health. 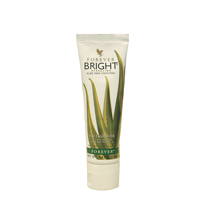 Well-liked by our human customers, this high-in-aloe, refreshing toothgel is ideal for your pet’s teeth too. Reducing the build-up of plaque and tartar on the teeth, while gently soothing the gum areas, it has a low-abrasiveness factor and leaves teeth sparkling clean. A natural antibacterial substance produced be bees to keep their hives clean. 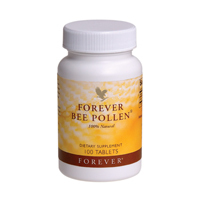 Helps maintain a healthy immune system, and support the body’s natural defences. Bee propolis, soy protein isolate, emulsifier (carob),honey, anti-caking agent (silicon dioxide), almond flavour, thickening agent (croscarmellose sodium), anti-caking agent (stearic acid), royal jelly. Allergy advice: for allergens, see ingredients in bold. Direct from the hive, this is an excellent way of priming the body during the summer when the pollen count is high, as well as being a superb energy supplement before or after an exercise period. Also suitable for jockeys, handlers and trainers after a long day. © dogsitting4u.co.uk 2019. All Rights Reserved.